The Mecca of Meltiness, Shangri-La of Savory! Slowly, inexorably, by tray-of-broccoli-rabe-ravioli increments, I whittled down my Murray’s Cheese Shop gift certificate to just a nubbin of credit. 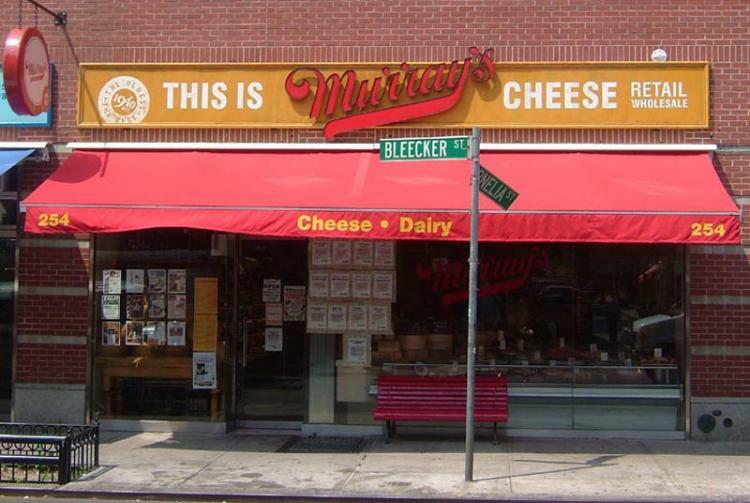 Knowing my visit to Murray’s earlier this week was to be the card’s swan song, I got naught but special, new (to me) cheeses, with the small exception of the purchase of a crystalline slice of nutty, salty Piave Vecchio that looked so geologically elegant as I unwrapped it this morning that my mind tore into opposing impulses to sit down and eat the whole wedge in one sitting and to shellac it for ornamental display). What isn't better after a bath in beer? The Piemonte produces some of Italy’s finest wine, but it is also home to the small Le Baladin brewery, situated in the center of the small town of Piazzo. It’s arguably Italy’s finest small brewery, producing a handful of flavorful Belgian-inspired beers. Luckily someone had the bright idea to take a locally produced raw cow’s milk cheese made with thistle rennet and wash it in Le Baladin’s beer. The cheese takes on quite a bit of the beer’s open malty-hoppiness, which in turn brings out pleasantly nutty and earthy flavors in the cheese. A delight when combined with beer, some crumbly biscuits, and a little fruit. Rennet is the catalyst for turning milk to cheese and causes milk proteins to clump together, or curdle, separating curds from whey. The heads of both nettles and thistles (and fig leaves, and some types of ivy) contain an enzyme similar to one of the key enzymes that comprises animal rennet, chymosin. I wasn’t able to get a sense of why only two types of life – and two so different, thistle and calf stomach? – would contain an enzyme or suite thereof suitable for cheesemaking. 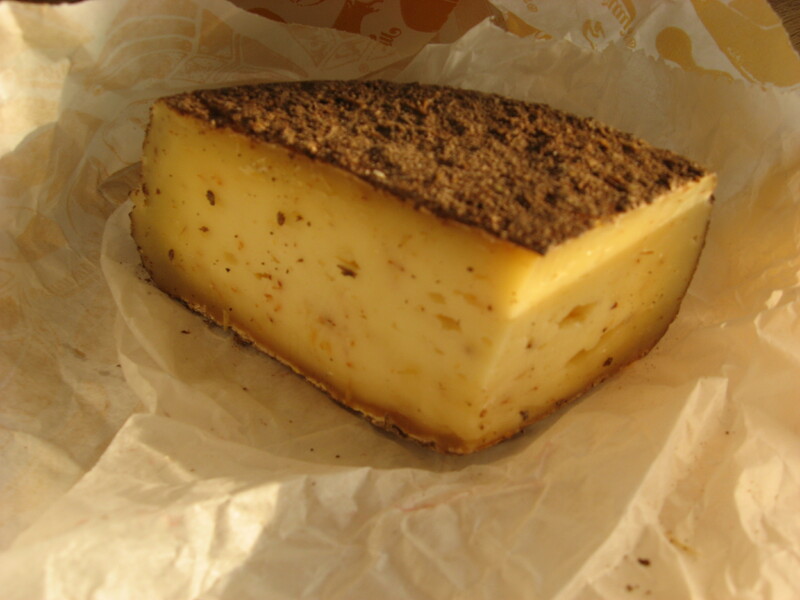 One interesting tidbit about the difference between the two kinds of curdlers (actually, four: there’s a kind of genetically modified bacteria and microbial rennet, too, that are also used as vegetarian rennet) is that thistle rennet works least well for the production of cow’s milk cheese, better used with goat or sheep’s milk. Be that as it may as a general finding, this Baladin is delicious.